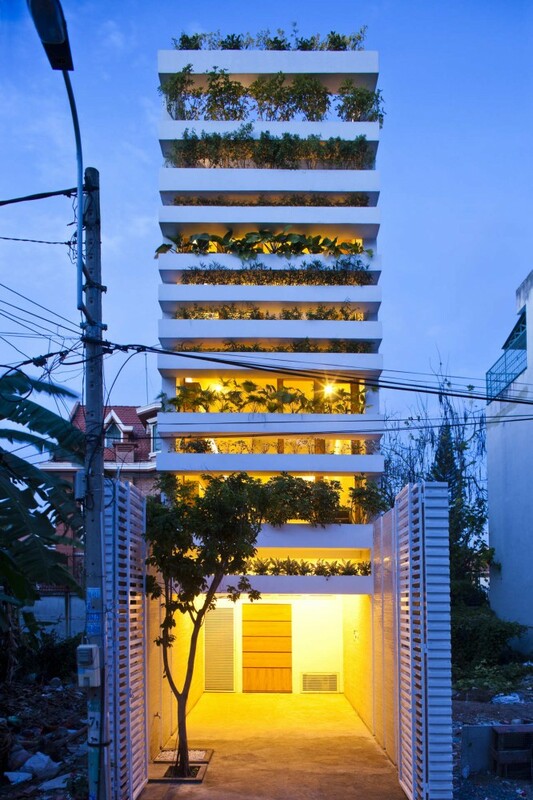 Saigon, Vietnam is one big dense urban city where's no other way than build vertical. 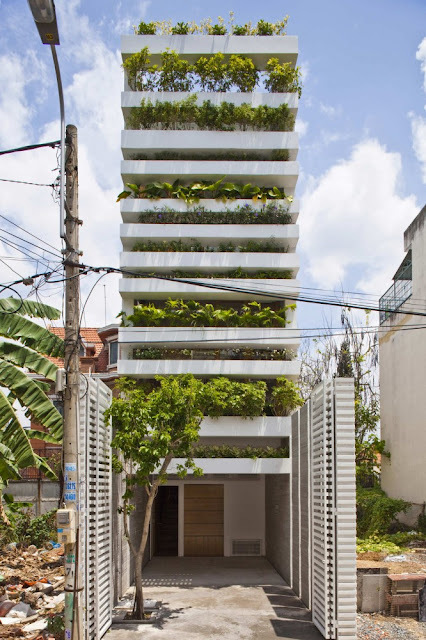 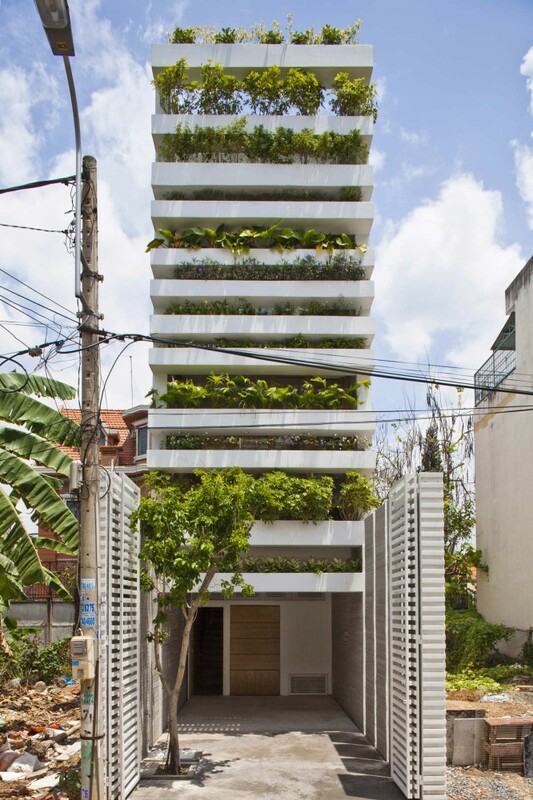 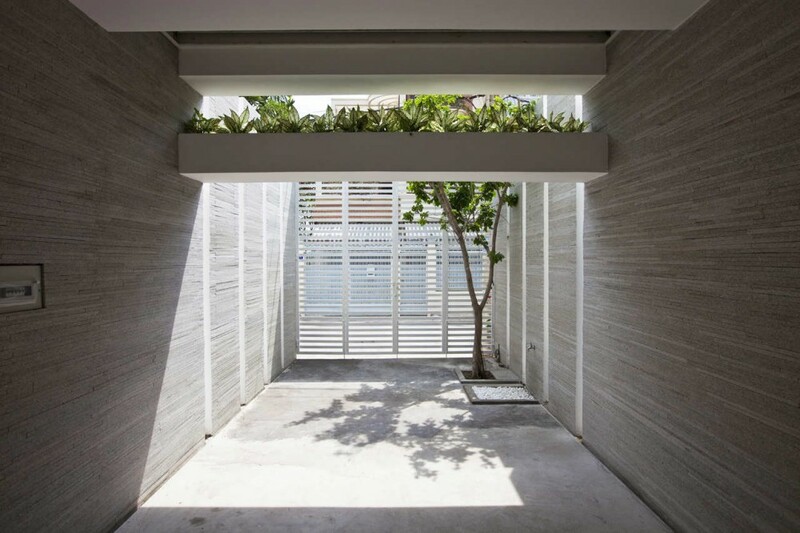 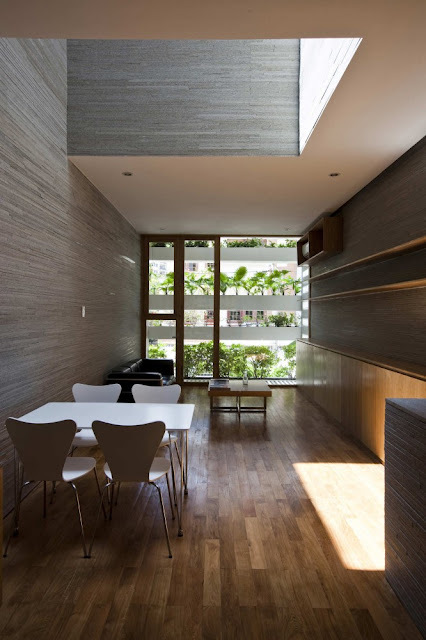 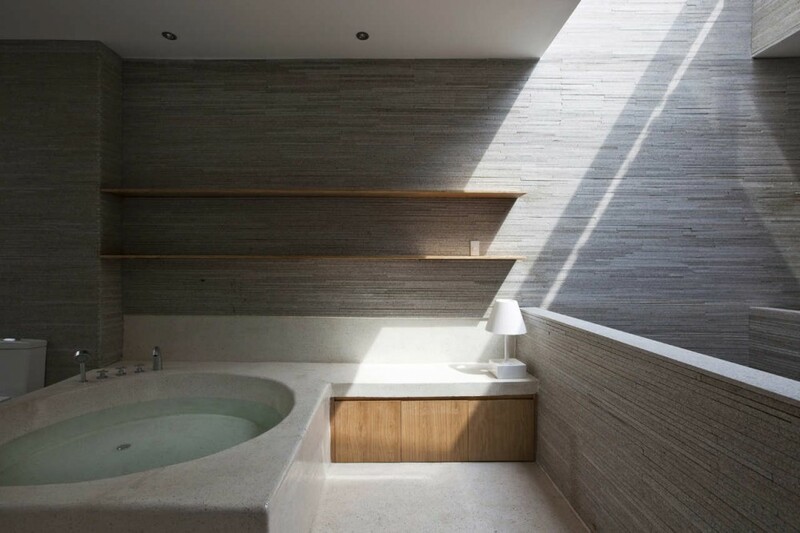 Vo Trong Nghia architecture office was working with Daisuke Sanuki and Shunri Nishizawa on this impressive project called Ha House. 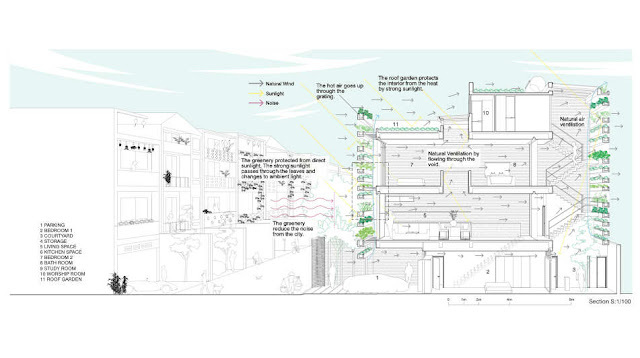 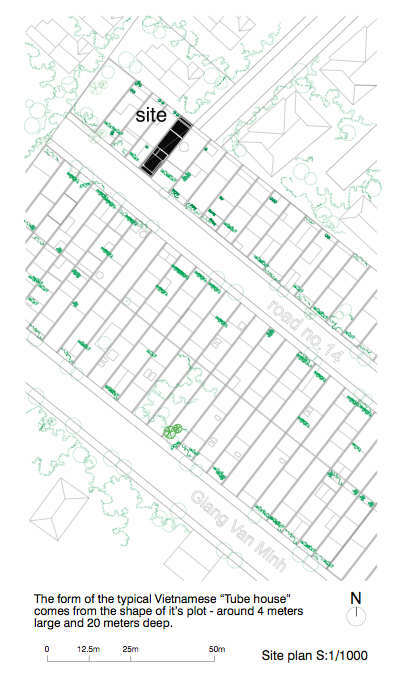 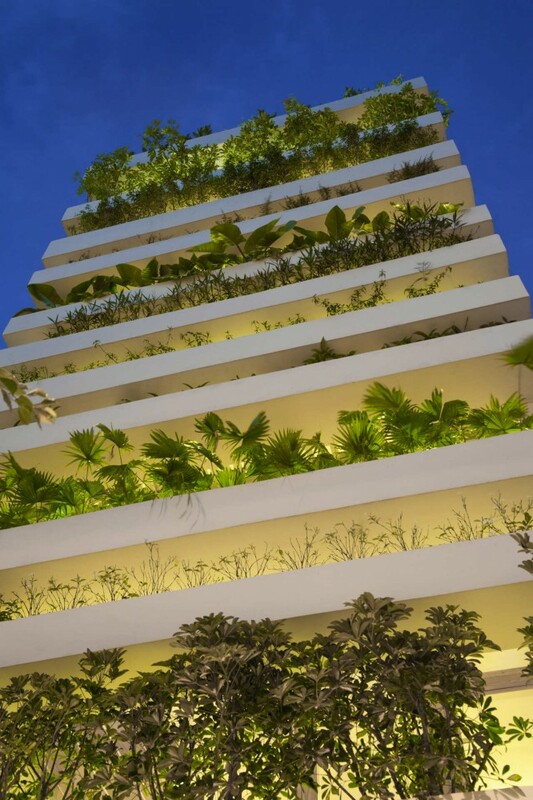 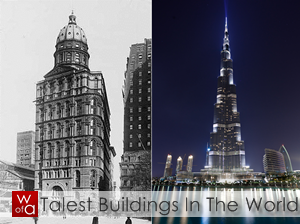 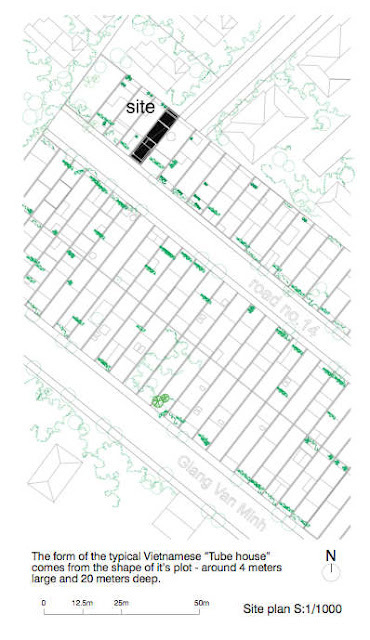 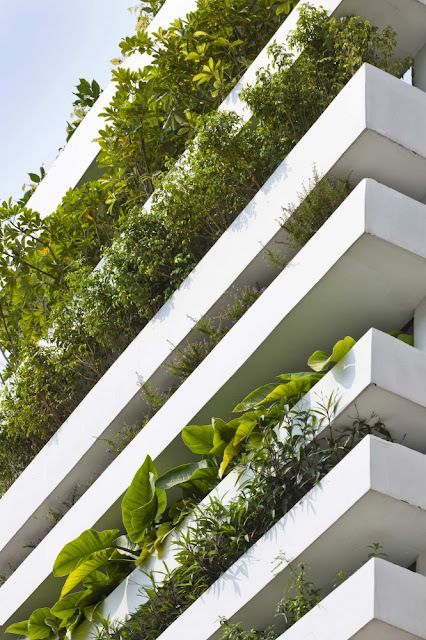 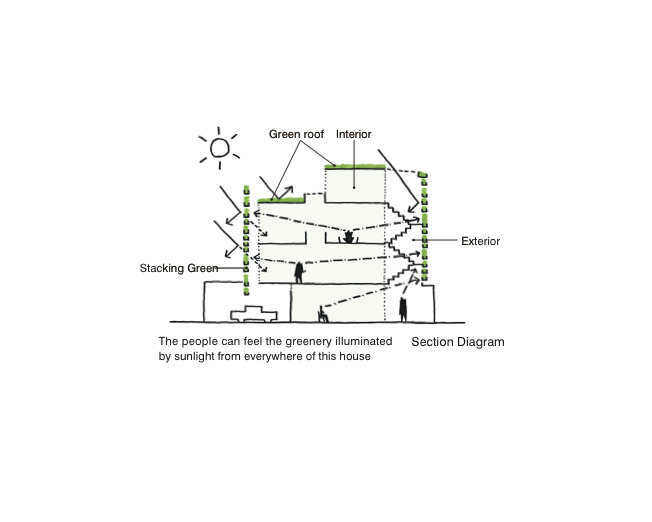 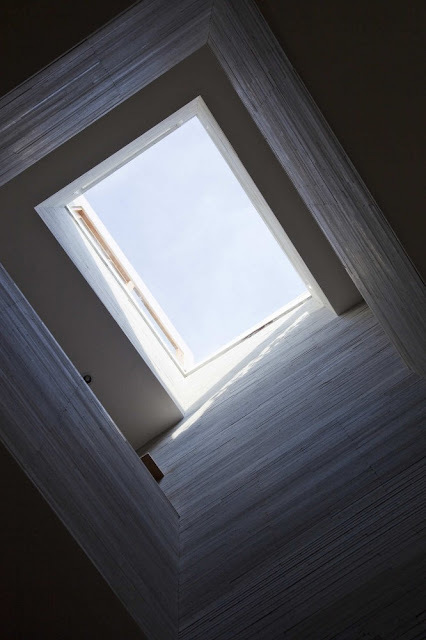 Sustainability and green architecture were primary goals set to achieve. 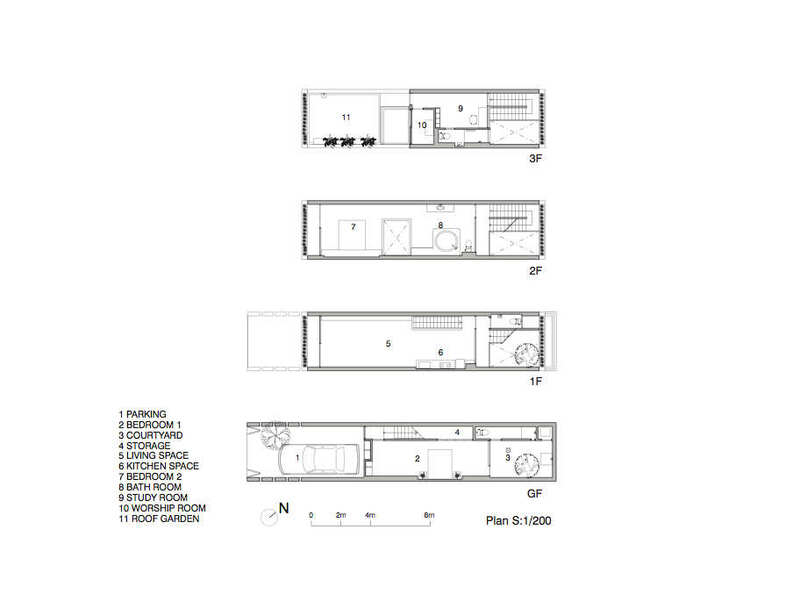 Ha House is an amazing home built on a plot 4m (13ft) wide and 20m (66ft) deep. 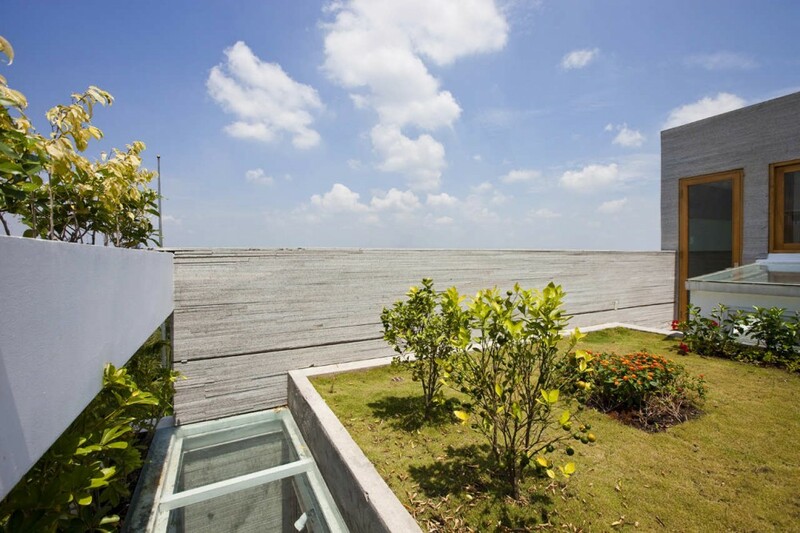 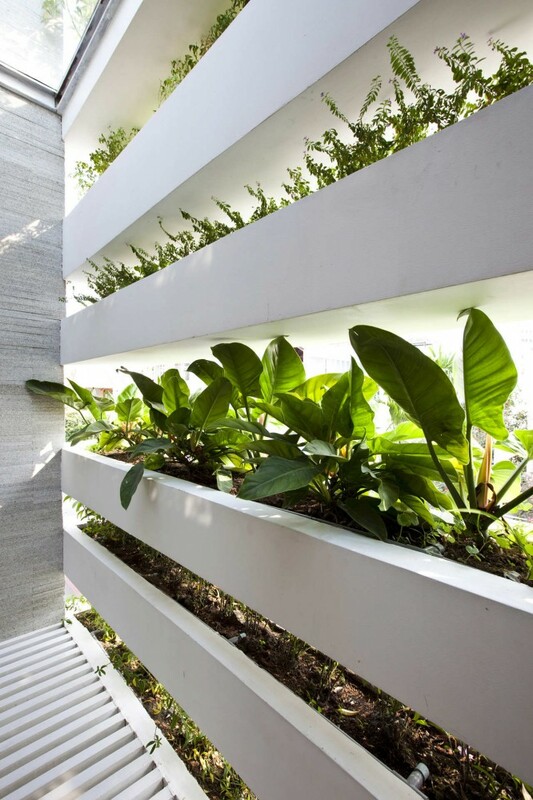 The best part of is front facade built of concrete and protected with an exotic plants. 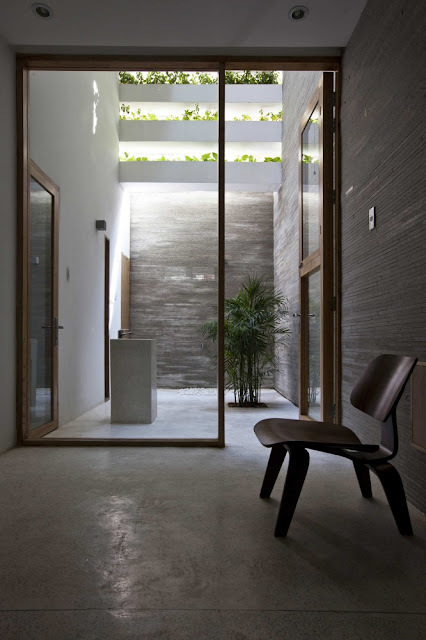 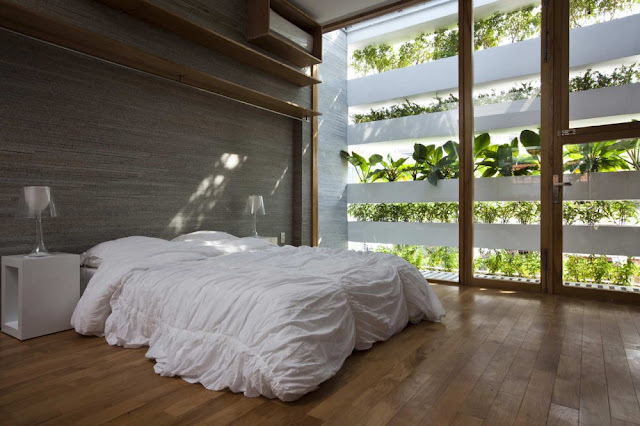 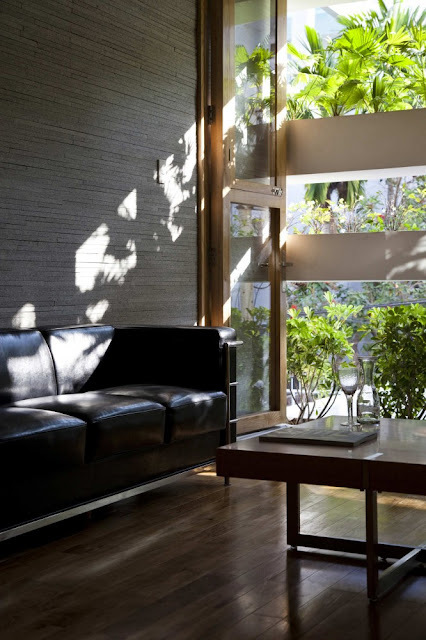 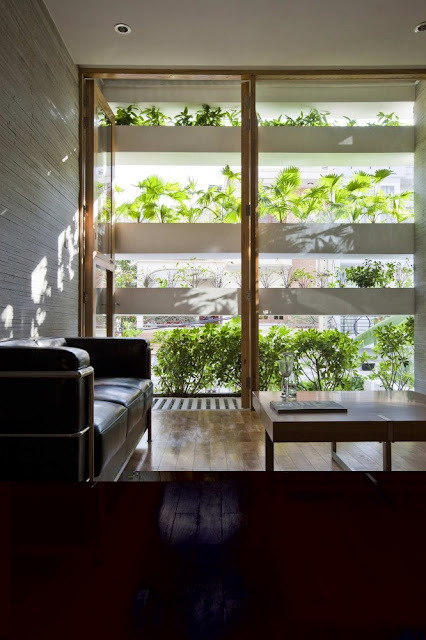 Exotic plants and greenery is placed the way to protect interiors from direct sunlight. Really smart move, we've gotta say. Interior and exterior looks very fresh and clean. 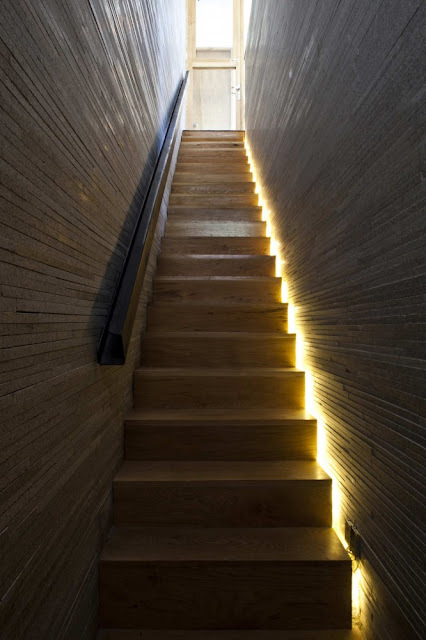 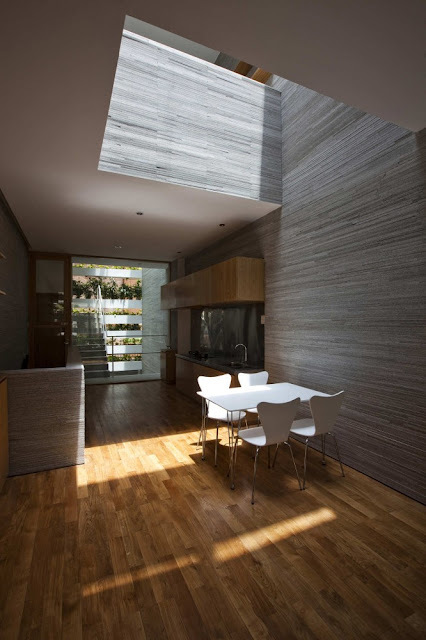 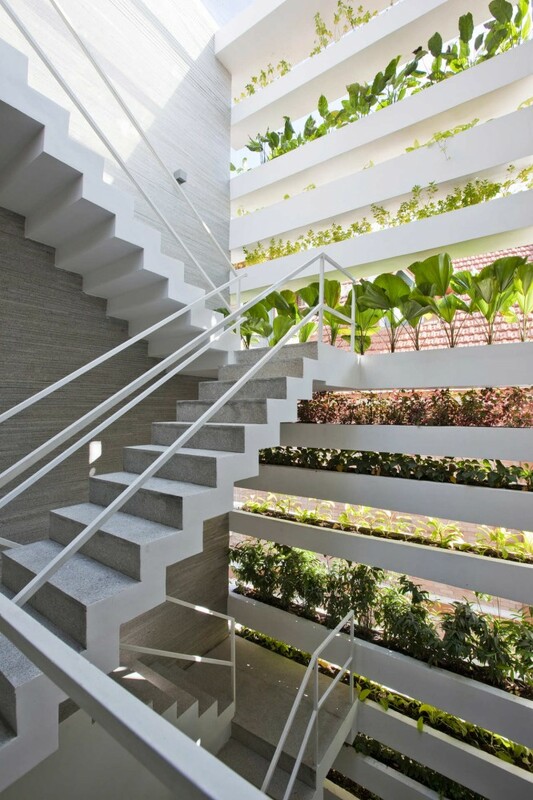 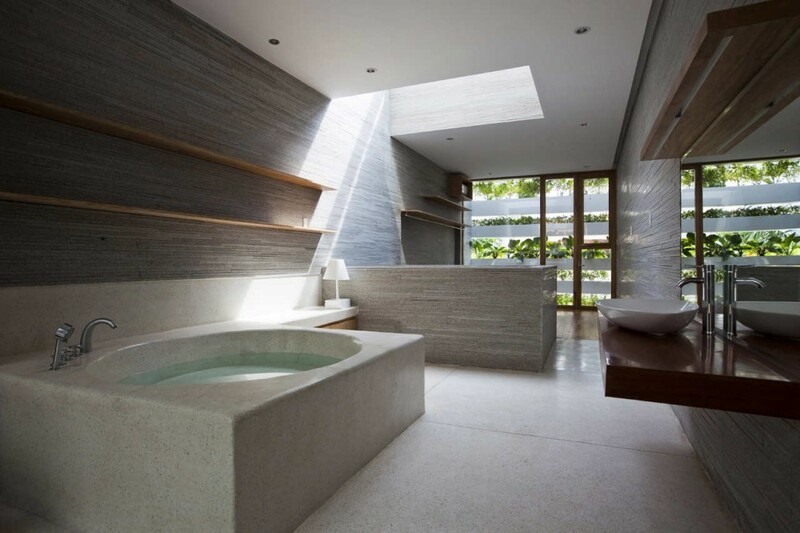 Amazing example of green home.